I have through Alkuajatus found my way into a new and amazing world, the genuine selfhood and own will. There is now a signposted route to fulfill the own will, to understand the importance of genuineness and to help the focusing on it. Immerse yourself first in Every Youth's Book of Life (free download). 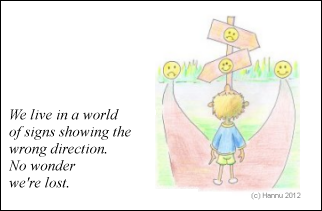 Here is the first step on the route to own insights and the genuine selfhood. Have you ever stopped to wonder why some outer thought or claim is in such a big conflict with your own thoughts, insights and experiences? I stop now and then, but now I understand the reason. My purpose is to gather us who are interested in the genuineness and fulfilling of the own will, to The Insight Mill in Stockholm and to The Insight Evenings at home. The Insight Mill is arranged in downtown Stockholm.. The Insight Evenings can be successfully arranged at home by anyone with the help of instructions. You can also try The Insight Chat that has simple topics for discussion. The Insight Mills are arranged in Stockholm in Finnish and Swedish. The Insights Evenings can be arranged in Finnish, Swedish and English. The Insight Chat is also arranged in three languages, Finnish, Swedish and English. 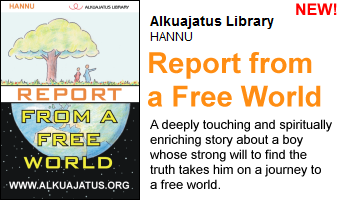 If you are interested, contact Sami on the Alkuajatus homepage. You are all very welcome. A lot of people read Metro and other newspapers. I have noticed that the reader colums are full of unanswered questions and countless problems. I've found many answers with the help of Alkuajatus. Specifically with the help of Alkuajatus, since Alkuajatus doesn't give you ready answers, it helps you to find your own answers by yourself. A good route to gradually approach the answers you are looking for are The Insights Evenings and Chats guided by Alkuajatus. The Insight Mill is also a strong help, if you live in Stockholm. The next step is to arrange them in Helsinki also.